Despite consecutive school days canceled, students at Boone County’s Sherman Elementary are continuing their studies through an online learning competition. Assistant Principal Jacob Messer said that, out of Sherman’s roughly 425 pupils, 49 were doing online assignments Thursday, the county’s first snow day. By Friday, he said, the number had doubled, and on Saturday and Sunday, for which he took just one count for both days, there were 116 participants. By Monday, there were 123. 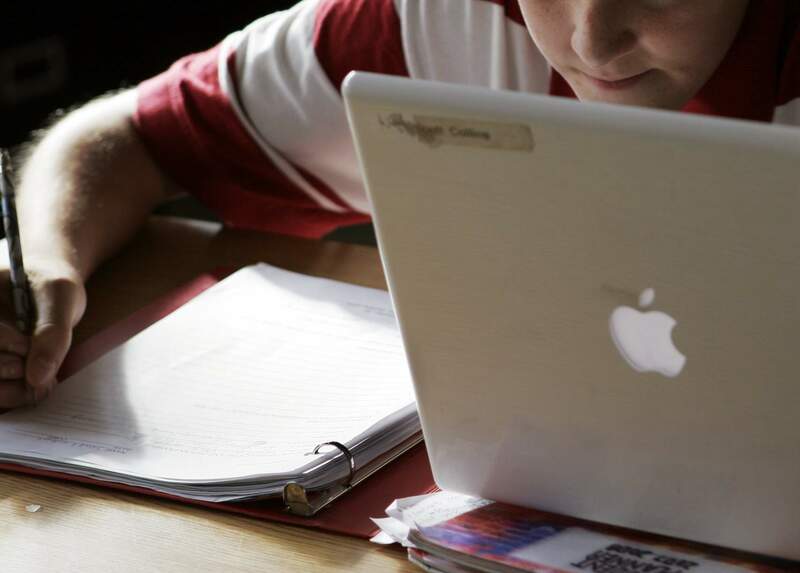 For the competition, the Comfort school, in northern Boone, has been asking its first- through sixth-graders to each day complete seven out of nine assignments on the online MobyMax program. The assignments are simply to spend a number of minutes in certain subjects, like math and vocabulary, and it takes at least 65 minutes to complete seven and meet the daily goal. Rae Boyd, a fourth-grade teacher who suggested bringing MobyMax to Sherman after seeing it at a regional math field day event, said it uses placement tests to gauge the level at which each student should start, and children are given lessons that include lecture portions. She said they’re then presented questions and must score well enough on them to advance to the next level. “It’s completely student-based, differentiated instruction,” Boyd said. She said she didn’t know how long the average student takes to accrue points but said one student took approximately 3 hours to attain about 560. Messer, who said the program cost the school $599, said that, through Monday, 10 students had topped 1,000 points, with one nearing 4,000. Overall, the children had racked up 42,215 points. Brianna Armentrout, 11, said it took her three days of working about 4 hours each day to reach second place in her school. The fifth-grader said she’s earned almost 3,000 points. Messer said the grand prize will be something like a gift card or a “digital device,” and said the school plans to give out 125 to 150 “chance cards.” He said those go into a box, and names are periodically drawn out for children to win things like notebooks and stickers. The program also has built-in rewards: children can earn virtual badges and earn time to play non-academic games. Boyd said that for every question her students get right, they earn about 5 seconds of game time. Messer said the school’s technology surveys show that more than 90 percent of Sherman students have Internet access at home, but he said the ones who don’t have been given paper study packets and will get chance cards if they complete them. He said he’ll have to discuss with teachers whether they’ll have a shot at the grand prize or not. He said 174 students used MobyMax over the summer as part of a previous program. The school took the 88 students who scored over 300 points on a free trip to Hurricane’s Waves of Fun water park. “It was just an awesome thing to see them taking their learning seriously and taking their time to do their work,” he said. Reach Ryan Quinn at ryan.quinn@wvgazettemail.com, facebook.com/ryanedwinquinn, 304-348-1254 or follow @RyanEQuinn on Twitter.